The Land Pride RCF3684 Rotary Cutter is a brute among single-spindle cutters. 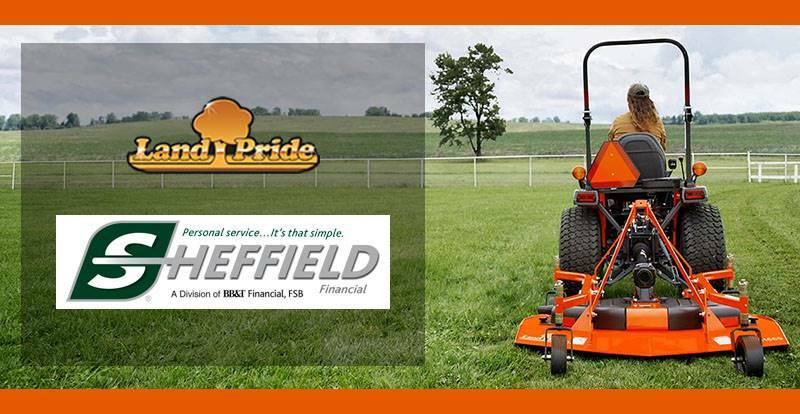 It features a 190 HP gearbox capable of cutting heavy grass and weeds, row crop stubble, thick brush, and small trees up to 4 in. in diameter and has a cutting height range of 2 in. to 12 in. 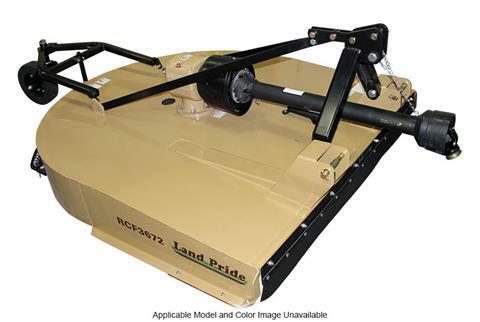 The RCF3684 features a smooth top design for easy cleaning, and all-welded deck for added strength, and a floating top hitch for a clean, even cut. LOWER CLEVIS TYPE 3-POINT HITCH: Allows for ease of hook-up to tractor. Also adds additional strength allowing for an even pull from the tractor’s lower arms, vs. pulling on a single pin design. ROUND BACK DESIGN: Allows for more efficient handling and dispersing of material. HIGH CUTTING CAPACITY: Can cut brushy areas with saplings up to 4 in. SKID SHOES: Provides sidewall reinforcement and protection to bottom of sidewall. 3-Point Type - 2,000 lb. Deck - 13 3/8 in. 3-Point Type - 130 in.